We all take protein either in raw form or powder to bulk up, gain energy and increase our metabolism rate. As a matter of fact, being in the bodybuilding sports, protein intake is a vital part of one’s diet. 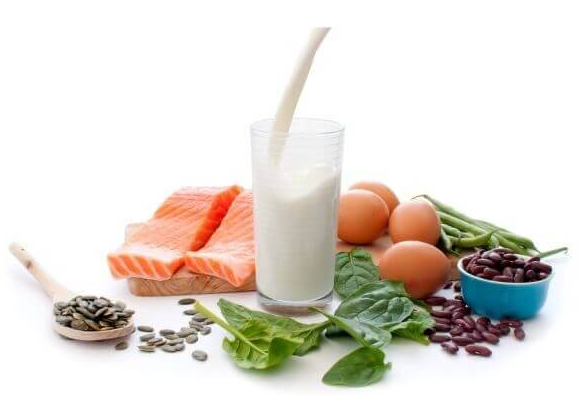 On average, individuals consume 2-3 scoops of protein a day and tend to rely on a lot of protein in every meal. And personally saying, if I don’t eat protein every 3-5 hours, I feel like my muscles are withering away. However, according to a bodybuilding magazine, your body can only absorb 30-40 gram of protein per meal and anything over that would be converted into glucose and burned. But at the same time we read that you need 300-400 grams of protein per day. Well, a new study suggests that you need to take a break from protein as it influences serum myostatin which influences the growth of new muscle mass. Not to mention that myostatin is also known as a negative muscle growth modulator. So, the less myostatin you have, the more muscle you’ll build and vice versa. However, according to this new study, the scientist focused on the process of satellite cells activation via the dietary protein. These satellite cells are known to be the precursors to the skeletal muscle cells. In simple, they play a crucial role in your body’s adaptive response to the training stimulus. In this study, there were 21 participants used, most of which were healthy males and were randomly divided into two groups. The first group was given 1.2g of protein per 1kg of body weight while the other one only 0.1g. Also, both these groups were given a training program to follow. Moreover, the researchers also took a muscle biopsy from their legs and their recovery rate post-workout. As a result of this, they found that the myostatin levels and satellite cells should a significant drop right after they completed the training session. Much interesting, after 48 to 72 hours, the satellite cells and myostatin levels got back to baseline values in the group that ate more protein while it remained quite low for a long time in the group eating only 0.1g. Furthermore, after 72 hours, researchers also found that the myostatin levels significantly increased in the more protein eating group while it decreased in the second group. It’s important to mention here that the study in no way tells how eating protein directly impact the increase of satellite cells post-workout but it definitely tells the concentration of dietary protein and its direct impact on post-workout myostatin levels. So, as a general conclusion, a diet with low-to-moderate amounts of protein tend to decrease myostatin levels and increases muscle mass. In simple, having low myostatin levels in the body were caused by working out triggered the differentiation and activation of satellite cells. It was also found that eating protein right after your workout inhibits myostatin expression but it had a significant increase one hour after the workout session in the placebo group but not in the one that consumed whey protein. The question here is, is it necessary or optimal to consume excessive amounts of protein after 48 to 72 hours if you don’t feel like eating. Well, if you consume a moderate amount of protein at regular intervals, it triggers low-level chronic metabolic acidosis and studies tell that it is much better to skip eating protein once in awhile to allow your body to recalibrate and the best way to do is via structured periods of fasting.